Excuse me, joven, who is your dentist? Years ago, I was a ski-instructor in Snowshoe, West Virginia. When I mentioned it, people would often tell me how lucky I was to be that good a skier. I told them I wasn’t. In truth, I was an intermediate skier at best. I shrugged off their compliments by telling them that all you needed in order to be hired at a ski resort in rural West Virginia was a full set of teeth. It’s hardly a joke. Teeth are important professional markers. Both the New York Times and the Washington Post have recently written articles about that the skyrocketing cost of dentistry and how they are making yet another contribution to the widening gap between the haves and the have-nots in America society. Costs are reported to have risen about 5% a year for two decades. I contend it’s been appreciably higher in any larger city. I became aware of the escalation in prices when I was advised to use a mouth guard while sleeping (an attractive accompaniment to my sleeping mask and probably a contributing factor to most past boyfriends being at least moderate drinkers.) My bill for the upper-jaw-only plastic mold, which I purchased in Evergreen, Colorado was over $600. A Mexican whom I dated later, a guy with an amazing, brilliant smile (the first thing I noticed about him) paid $80 for his, which of course he bought in Mexico. Two years ago, while in Denver to have my yearly meeting with my C.P.A., my lower-back teeth began to radiate pain and tenderness. Thinking it was probably another cavity, I went in to see a dentist only to find I would need a root canal ($1,500-$2,000 dollars). I thanked the gods-of-all-things-holy that I would be returning to Mexico soon, where I could get the work done for probably less than half of that. A legion of Mexican friends with beautiful smiles stood waiting with their periodontist referrals. I selected the one Vicente Fox went to. He said that by having more periodic deep cleanings I could avoid a root canal. These he would do himself for $110 dollars. This year I went ahead an did the root canal there and replaced a nasty 30 year old crown. It took six trips to the dentist in Mazatlán, each trip taking at least an hour. The cost was less than $700, including the intial exam and cleaning. A cleaning usually runs about $40 dollars. Dental work in Mexico costs anywhere from a t hird to half of what the cost for the same procedure would be in the U.S., even with all the same technological features. Thinking about how your dental health is so tied to general health, I began to reflect on of all those people in West Virginia and Idaho Springs who aren’t going to Mexico, the working class people interviewed by the Washington Post and the New York Times. The ones who don’t have the money, can’t live with the pain and have to get the tooth pulled rather than repaired. When I was a child growing up in rural Oklahoma, my mother would get me out from under her feet by giving me twenty-five cents to go buy penny candy at a store a mile away. I still remember the candy necklaces. Imagine her chagrin when her eight-year old’s first dental appointment revealed cavities in almost every single baby tooth, all of which she dutifully had filled with silver on a social worker’s salary. I was very lucky, unlike the West Virginian girlfriend of an ex-boyfriend of mine who lost all her teeth before she was thirty. This really happens. And poor dentistry isn’t just an obvious indication of economic hardship. It’s a gateway to various other health problems, such as respiratory infections, diabetes, even dementia. What is particularly annoying about all of this is that, like setting a cast for a broken arm, the basic technique of medically necessary dental work hasn’t changed in decades. The advances of the last 25 years have been largely in the level of patient comfort and types of materials used, especially as related to cosmetic dentistry, which has taken off as wealthier Americans spend millions on veneers and whitening. You can avail yourself of cosmetic dental services in Mexico too. I recently had a home teeth-whitening tray made for about $140 dollars here. They cost between $250 - $400 in the U.S.
For those who need critical work like wisdom teeth extraction, fillings, crowns and root canals, the field of dentistry provides a wonderful example of how technology works to the disadvantage of people on a tight budget. No reputable dentist would not use one of those saliva extraction devices. But how much more do they cost the dentist than that porcelain bowl we used to spit into? Dentists’ frequent unwillingness to pass along x-rays if you get a new dentist or a specialist and their insistence on unnecessary annual x-rays are other ways costs are jacked up. Questionable business practices, the cost of the technology that is unnecessary yet expected in a dental office, along with high student debt that dentists in other countries don’t have are main factors in American dentistry’s high rates. Dental insurance has always been a poor value. You practically have to have major surgery for it to have been worth purchasing. Predictably, overall utilization of dental services has been going down in the United States for 10 years. The industry seems genuinely puzzled about this. Fewer people are having routine work done only incentivizes increasing fees more for remaining patients. Like so many services in the U.S., offering cheaper versions does not make enough profit to the provider, meaning they become unavailable, meaning that the service is out of reach for all but the well-off who can afford the updated version. Dentistry is one more example of how America is becoming more and more a country divided between have and have-nots. No one plans to go back to silver fillings and when I had a cavity replaced in Mazatlán two years ago, I noted with some alarm that porcelain saliva bowl of my early adulthood in the Mexican dentist’s office. The new filling was fine. The visit, with a cleaning, cost less than $50, even with the porcelain bowl. Most recent: As wonderful as Mexico is, you still need to be aware of scams, especially medical ones. Next up: Is the rising cost of living making you consider a "quieter" life? Why not keep some adventure and lower your cost of living? 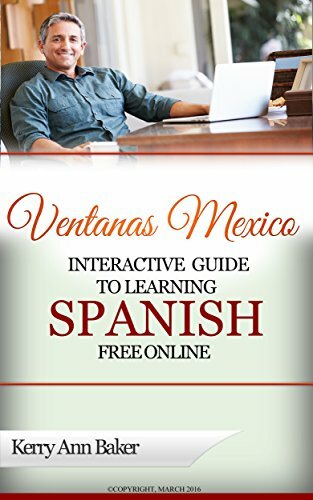 Hola, I'm Kerry Baker and am the author of the "Interactive Guide to Learning Spanish Free Online," a curation of the best tools on the web to learn Spanish free, all organized into lesson plans that keep learning interesting, and you motivated. The Guide is completely interactive, enabling you to go directly to the best features from your laptop (I love my sleek and lightweight Acer Aspire! ), e-reader or tablet. Don't be one of those expats who doesn't speak Spanish! Get started with the Guide. 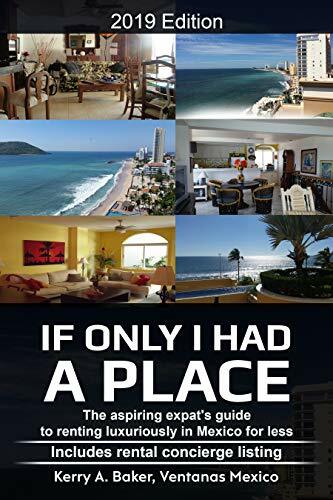 My second book "If Only I Had a Place," a guide to renting luxuriously for less in Mexico, for aspiring expats planning their first long-term stay. Renting in Mexico is different, with both advantages and disadvantages to renting in the U.S. This book gives you a complete system to support the richest possible expat experience.